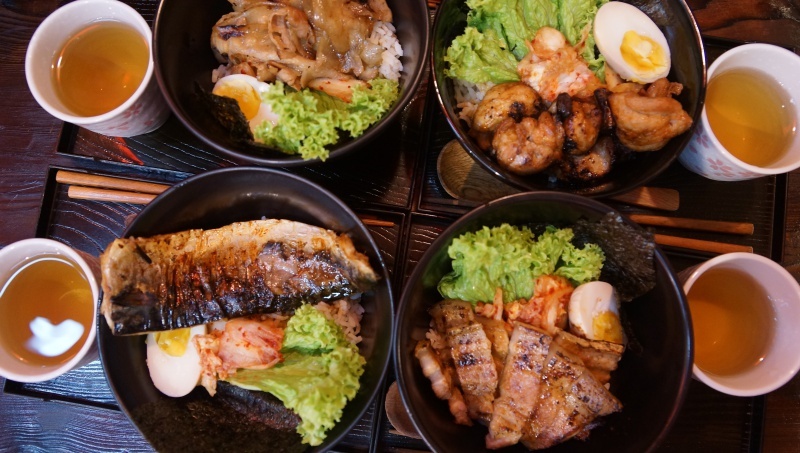 Located at the basement of Westgate Mall, Kushiya Japanese Grilled House offers charcoal-grilled Japanese skewers to go with the variety of donburi sets. 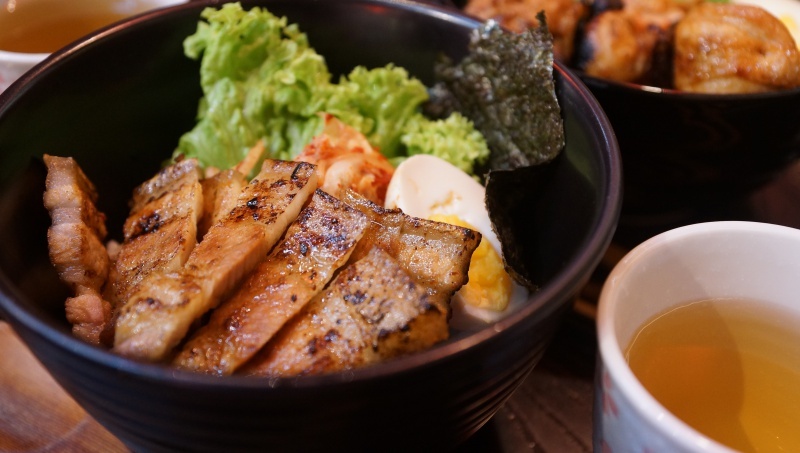 Each Donburi set comes with a green tea and miso soup, a rice bowl served with one half of a Japanese half-boiled egg, seaweed, fresh lettuce and kimchi for a touch of Korean taste. The freshly grilled pork belly was nicely-grilled, while retaining the juiciness and tenderness. The flavour tasted original and seasoning was light to keep the taste simple. 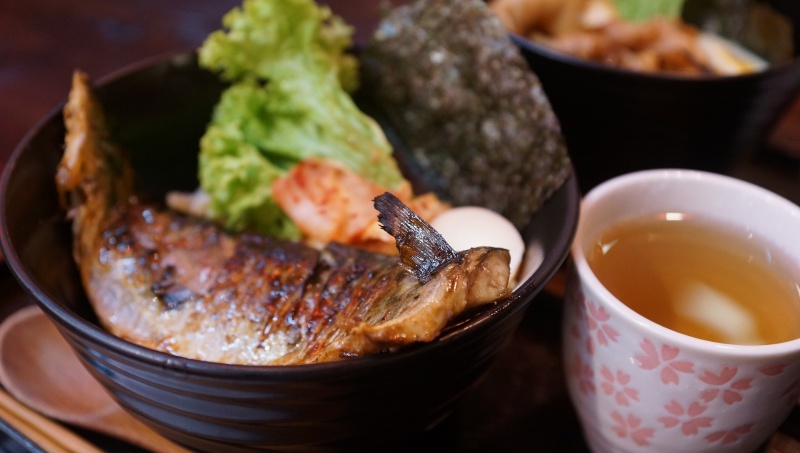 Salt Grilled Mackerel or Saba Shioyaki is a strong-flavoured fish that is loved by many, the fish was fresh and grilled perfectly to retain the moisture in the meat, reasonably-sized for the price. 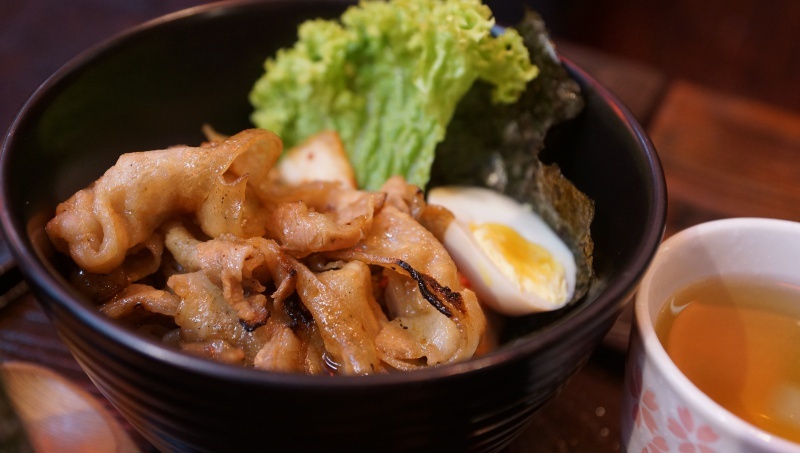 Tastes similar to the typical grilled Mackerel that you would get from the Japanese or Korean food kiosks. 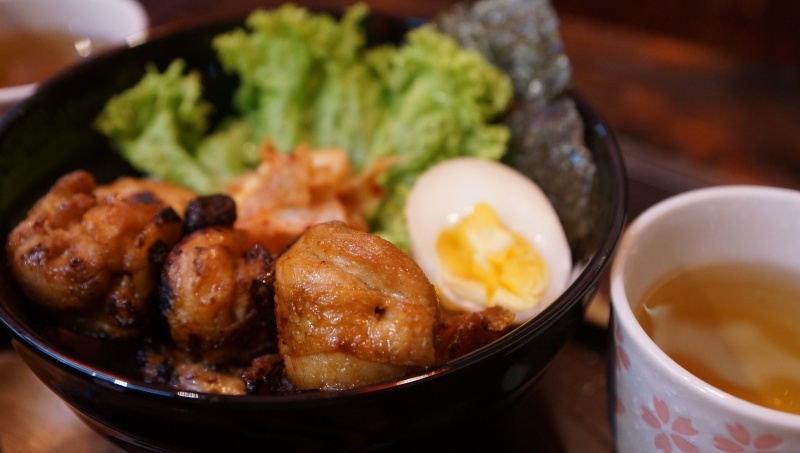 It may not be fair to compare the food from Kushiya with other Japanese Dons served in Japanese restaurants. For the price, the Chicken leg was reasonable in terms of taste and texture, though nothing was special enough to leave you with a deep impression. Thinly sliced pork was tender and flavourful, probably the better one amongst the four dishes. 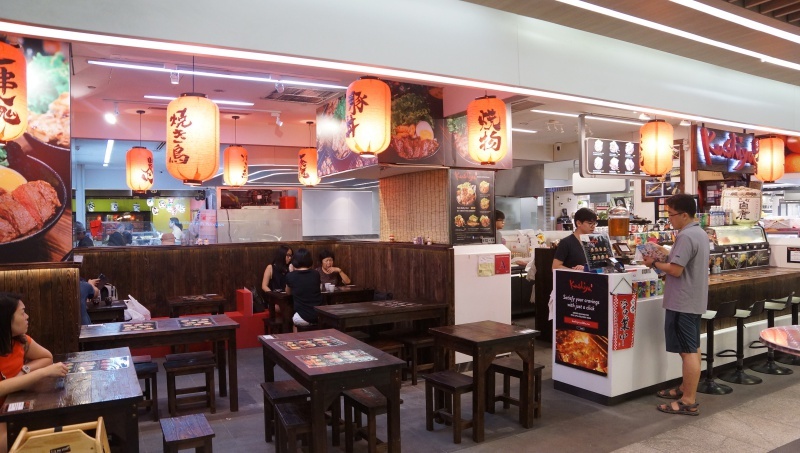 Kushiya provides a place for you to enjoy Japanese dons at the reasonable prices, with most of the items are below $10. Portions may be a little small for guys or those with huge stomach capacities but then again, you can’t complain for the price you paid.